I'm a branding & web designer based in the UK, and I can make you a functional, easy to use website for your work. I'm a branding & web designer based in the UK, and I can make you a functional, easy to use website for your work. The things I can help with include adding a mailing list sign-up, a blog area for you to share news with your followers, a directory for your books, calendars for events, and integrating your social media. We'll work together to figure out what you need from your website to make sure you end up with a space on the web that you're happy with & that promotes your work in the best possible way. I help creative people the world over make their website dreams come true! Mainly working with WordPress to create beautiful but functional websites that convert. 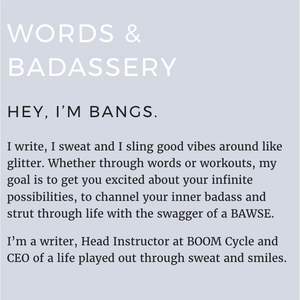 A new WordPress website and brand design for spin instructor, blogger & writer Muireann. With flexible content areas to build custom pages, this site serves as a portfolio and blog. Bess required a new brand identity and website for her bespoke interior design company based in Ilkley, West Yorkshire. Bess already had a home on the web but it was in serious need of a revamp. 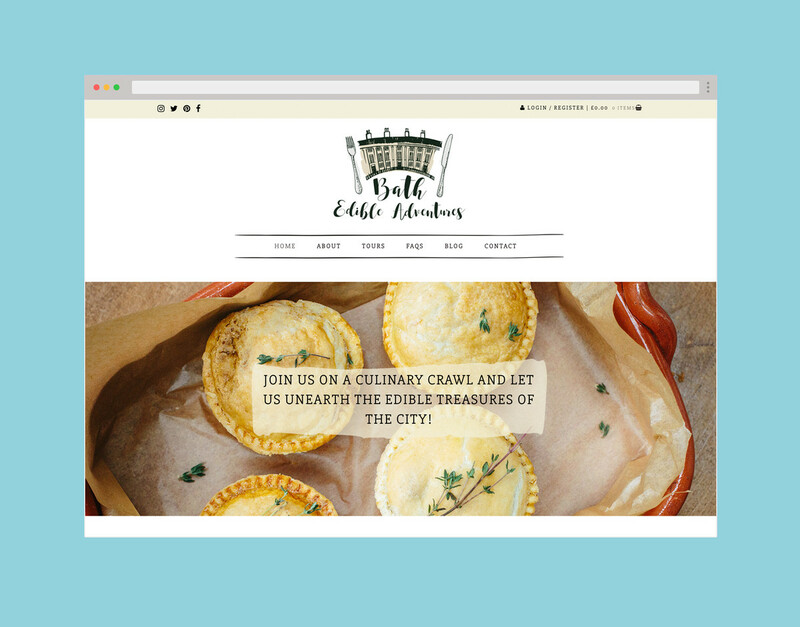 We started fresh and moved everything over to WordPress where we could integrate a useful client area which allows Bess to share files during her client projects, alongside portfolio areas and a blog. 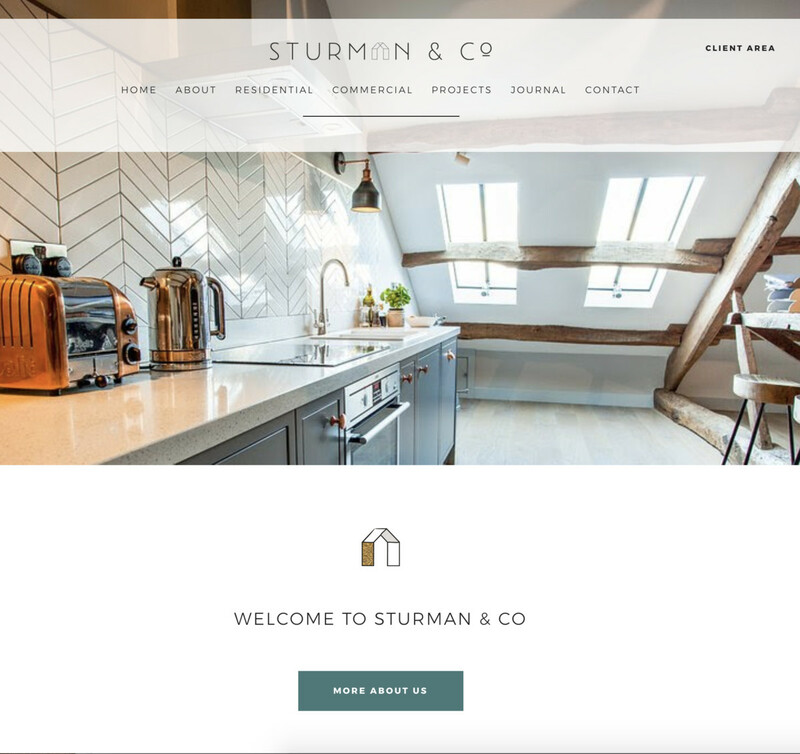 The new brand identity brings Sturman & Co inline with the target clients, and creates a cohesive look across all digital and print media. Pete needed a new website for his work and blog. 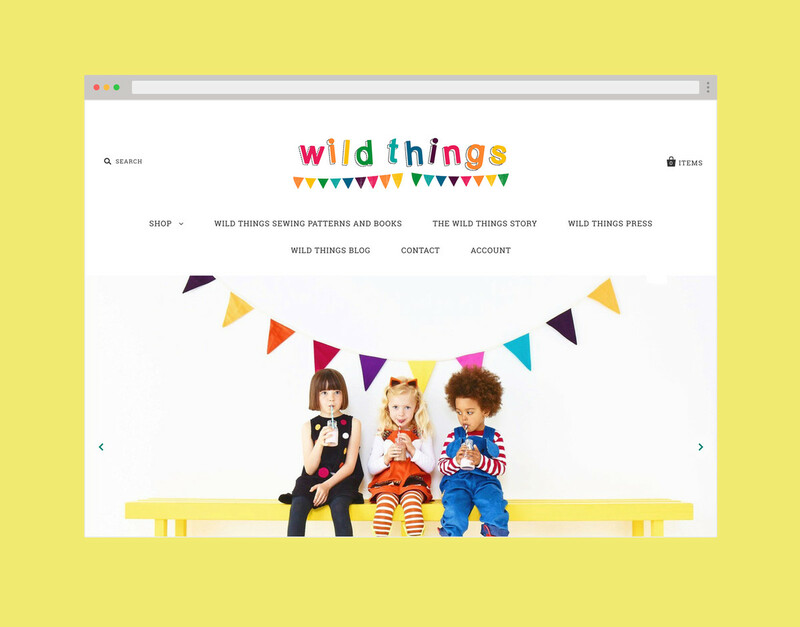 The website was made on WordPress, includes an integrated blog, a newsletter sign-up (linked to Mailchimp), a book archive and an events area. 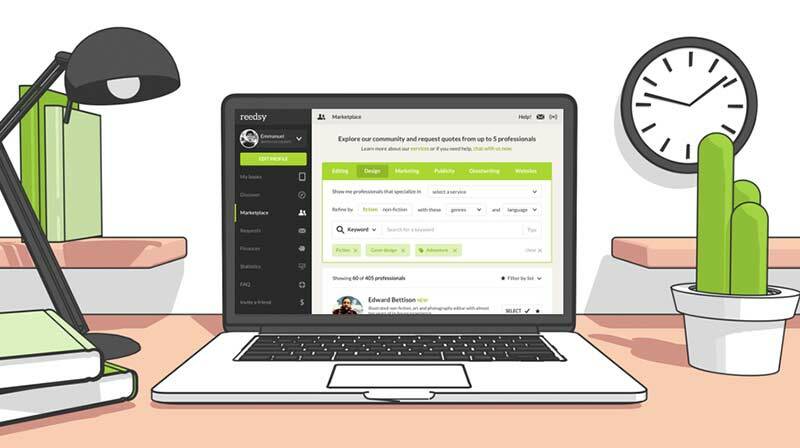 We transferred old blog posts from a blogger blog onto the new WordPress site. I'm a freelance website designer/developer with over 10 years experience in the industry, specialising in Wordpress design and development. Bookaholic web designer. Passionate in all genres. My effective and elegant web design helps you sell more books and builds your brand.